Summer is in full swing, and it's time for our July Chapter Book Roundup. We're cramming in even more booky loveliness this month than ever before so let's start with a fab follow-up to "A Library of Lemons". Jo Cotterill's "A Storm of Strawberries" is the perfect accompaniment to hot sunny days, so if you've got a favourite shady spot to indulge in reading a thought provoking book, you definitely should check this one out. Darby loves summer on her family's strawberry farm - but is the weather about to turn? Darby's favourite things are listening to music - preferably The Beatles - picking strawberries on the farm and spending time with her big sister Kaydee. She is looking forward to doing all three over the long weekend, but when Kaydee has a friend to stay and the sunshine disappears, everything gets turned on its head. When the storm clears, will Darby find everything is back to normal, and what is 'normal' anyway? 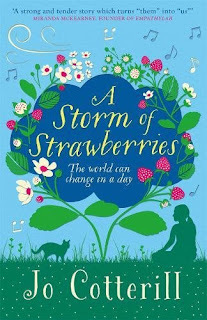 A life-affirming book of growing up and all the changes that take place in a young life, "A Storm of Strawberries" by Jo Cotterill is out now, published by Piccadilly Press. Switching gears entirely now, here's an action packed epic that barely leaves you enough time to breathe. 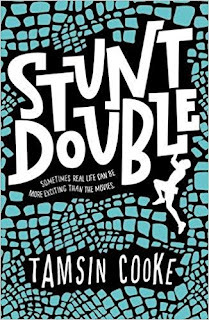 Tamsin Cooke's "Stunt Double" introduces Finn, not your ordinary everyday type of chap. Finn is a free-running black belt, with a talent for acting-but when his big break arrives, it's not the role he was expecting at all. Recruited as a stunt double, he's pushed to his limits-scaling walls at high speed, jumping from dizzying heights, and diving into rocky waters-all without any safety gear. He's determined to push himself, but as the stunts get more dangerous, the lines between movie and reality are really starting to blur, and it becomes clear that he'll be luckily to escape this shoot with his life. 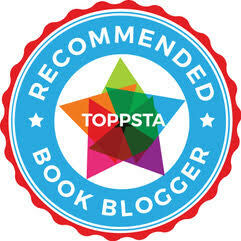 Suitable for ages 9+, this is a fast and furious read from the author of "The Scarlet Files". 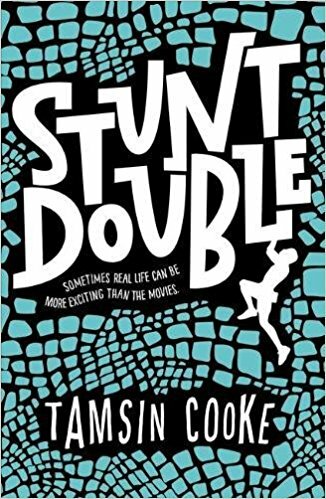 "Stunt Double" by Tamsin Cooke is out now, published by Oxford Children's Books. Now, what would you do if you had ONE BILLION POUNDS?!?! Tom McLaughlin poses exactly that question in the fantastic "The Accidental Billionaire", the fab follow-up to Tom's hilarious "The Accidental Prime Minister"
Jasper is one clever lad. Innovative and inventive, Jasper has come up with the latest must-have device, the Cat-Chat 2000, completely by accident in his inventing shed. 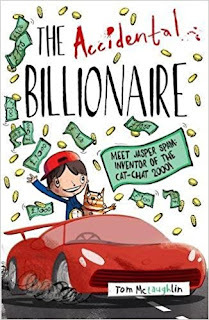 Poor Rover (Jasper's long suffering cat) is the unfortunate accomplice - who thanks to Jasper's crazy inventing skills now finds himself with the ability to talk. With everyone completely obsessed with their moggies, people are forking over fistfuls of cash for Jasper's only working invention to hear what pearls of wisdom their own cats will come out with. 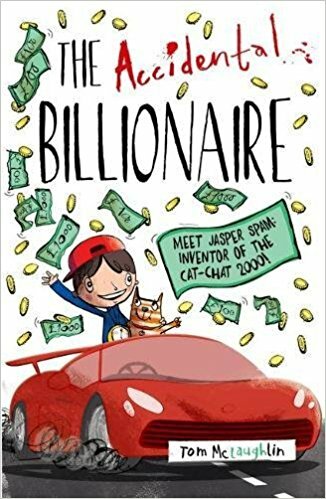 With his new found wealth Jasper can finally live the life he's always dreamed of - buying a mansion, a sports team, and producing a Hollywood blockbuster. But (and there's always a but!) is there a huge price to pay for bringing talking cats to the world, and money won't be able to solve a rather awkward problem the Cat Chat 2000 has unwittingly caused. Brilliant, hilarious and hugely original, this is just about every kid's dream come true - but can it swiftly turn into a nightmare once things get out of control? I've always said, if a book makes Charlotte snort with laughter it's a winner, and this definitely did! She couldn't put it down and proceeded to nag all of her friends at school into picking up their own copies (even buying a copy for her teacher who is a bit of a fan of Tom's). "The Accidental Billionaire" by Tom McLaughlin is out now, published by OUP / Oxford Children's Books. "The Murderer's Ape" by Jakob Wegelius is one of those books that just grabs your attention as soon as you see the cover (and the illustrations are even better inside the book itself). It's the story of plain ordinary Sally Jones - well, we say plain and ordinary but Sally Jones is actually a gorilla. Entirely devoted to her best friend "The Chief", she has the uncanny ability to move amongst humans while dressed as a mysterious maharaja. She and the Chief are happy-go-lucky comrades who operate a cargo boat. One day they take on a job that they are offered, which pays big bucks, but the deal ends badly, and the Chief is falsely convicted of murder. For Sally Jones this is the start of a harrowing quest for survival and to clear the Chief's name. Powerful forces are working against her, and they will do anything to protect their secrets. Can Sally prevail? It's one of the freshest most original voices we've read in a children's chapter book (and this is one MIGHTY tome - we love big books and we cannot lie, after all). A stunning mystery full of delicious twists and plot turns and one of the most engaging central characters you'll ever meet. 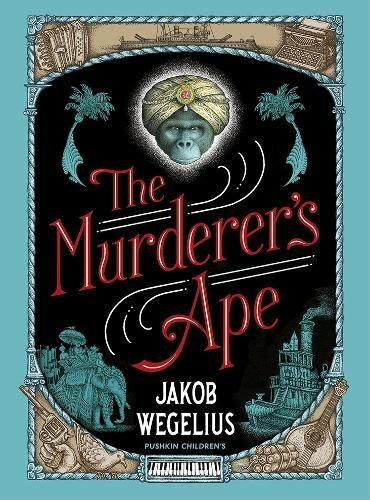 "The Murderer's Ape" by Jakob Wegelius is out on September 7th, published by Pushkin Childrens Books. Next, time to blow your nose...this book might turn you green around the gills, landlubber! 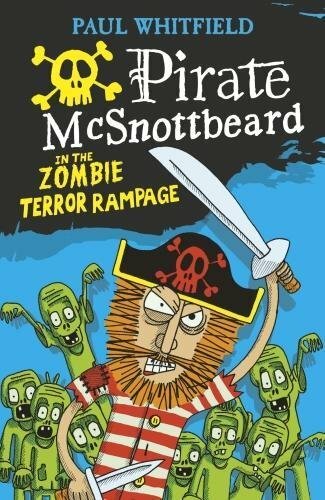 Paul Whitfield's hilarious "Pirate McSnottbeard in the Zombie Terror Rampage" is a mucus-filled mix of mayhem and bogies on the high seas. A rib-tickling barnacle-scraping pirate romp for fans of Mr Gum and Barry Loser. Packed with comic art and more gags than you can wave a kipper at. Meet Emilie and her brother William, who set out to rescue their parents from the horrible and smelly pirate king McSNOTTBEARD. Whisked from the high seas, through prehistoric lands, into an evil wizard's castle and finally to the PIRATES' clifftop hideout, they must tackle dinosaurs, zombies, angry parrots, and at least one warlock...all in a day's work really when you're a kid. I have no idea why, in my head, I read Pirate McSnottbeard with the same voice as Rick Sanchez from "Rick and Morty" but there you go, he's THAT nasty!! 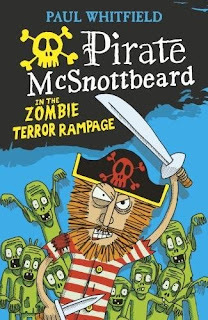 "Pirate McSnottbeard in the Zombie Terror Rampage" by Paul Whitfield is out now, published by Walker Books. 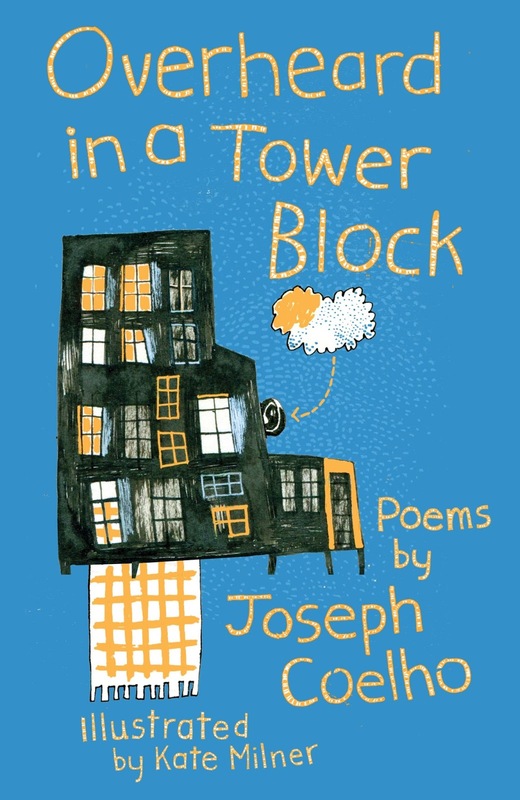 Joseph Coelho's perfectly timed "Overheard in a Tower Block" takes me right back to my early life, growing up in London and moving from a gorgeous house in a leafy suburb, displaced to a tower block in Islington. 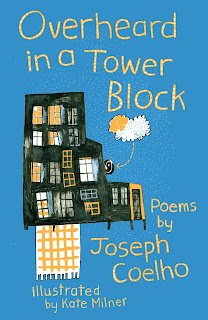 Joseph's verses, illustrated beautifully by Kate Milner, really capture how your childhood imagination adapts and fits itself around your (sometimes really grim) surroundings, and though the poems are mostly light in tone, there are a few that are heart wrenching and thought provoking - particularly in light of the terrible events that happened at Grenfell Tower. Joseph has a strong voice and has won a ton of awards. I'm pretty sure that more are to follow on the heels of this book too. A superb slice of urban life depicted from many different points of view, "Overheard in a Tower Block" by Joseph Coelho and Kate Milner is out now, published by Otter-Barry Books. "Chloe's Secret Fairy Godmother Club" by Emma Barnes focuses on Eliza. She's not sure about the news that she is going to be a big sister, but when her friends Chloe and Aisha say that they can practise by becoming fairy godmothers, a new club is born: The Secret Fairy Godmother Club! The three friends soon find out that being a fairy godmother isn't easy, especially when their homemade love potion goes wrong and their magical makeover doesn't turn out quite so magical after all. Light-hearted, fun and quirky, these stories are perfectly pitched for girls who love a sprinkle of glitter and magic in their stories. 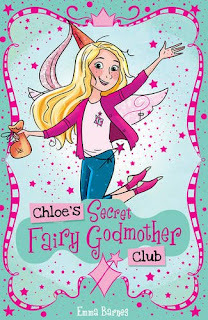 "Chloe's Secret Fairy Godmother Club"by Emma Barnes is out now, published by Scholastic. 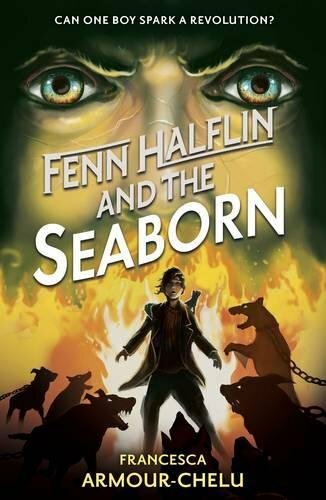 "Fenn Halflin and the Seaborn" follows on the heels of "Fenn Halflin and the FearZero" and rounds off Francesca Armour-Chelu's fantastic and magical series with a satisfying conclusion. The thrilling conclusion to the epic Fenn Halflin series, is perfect for readers of Percy Jackson and Artemis Fowl. Fenn Halflin is on the run from the brutal Terra Firma. His survival depends on finding the last of the Resistance, said to be hiding in an ancient, flooded forest. Accompanied by his faithful mongoose, Tikki, Fenn must embark on a journey that will take him deep into the treacherous marsh and closer to the secrets of his past. But as the water levels continue to rise, his mission to unite the Seaborn people has never been more desperate. It never stops to draw a breath, this series, but is fast paced and darkly magical. "Fenn Halflin and the Seaborn" by Francesca Armour-Chelu is out now, published by Walker Books. 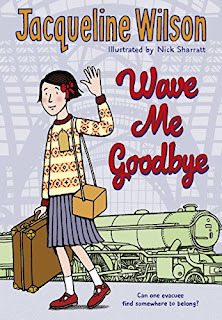 Jacqueline Wilson's fantastic "Wave Me Goodbye" (with illustrations by Nick Sharratt) takes us back to the outbreak of the Second World War, and the hugely complex plan to evacuate children from various cities out into the safer environs of the countryside to avoid the blitz. One such child is Shirle, who is sent away on a train with her schoolmates. She doesn’t know where she’s going, or what’s going to happen to her when she gets there. All she has been told is that she’s going on ‘a little holiday’. Award-winning, bestselling and beloved author Jacqueline Wilson is more renowned for her bang-on-target contemporary pre-teen and teen fiction but here she turns to this period of history for the first time with an expert observational eye. This is a beautiful, moving story of friendship and bravery against the backdrop of the worst conflict the world has ever known. An utterly thrilling and emotional read. Despite the size of this, Charlotte devoured it and now wants to know more about the evacuees (so there's plenty to catch up on over the summer when we have some time to dig into the subject in more detail). "Wave Me Goodbye" by Jacqueline Wilson is out now in hardback, published by Doubleday Children's Books. A fabulous follow-up to a cracking read is next up in our chapter book roundup. "The Smoking Hourglass" by Jennifer Bell is the second book in "The Uncommoners" series (following swiftly on from the fantastic "The Crooked Sixpence". Everything seems to have worked out just fine after all, but something dark is stirring just below the surface, and uncommon traders are uneasy. Ivy and Seb have stumbled into a plot that could condemn every uncommoner to a disastrous fate! Eeek! With the help of Valian, their extraordinary friend – and some exceptional uncommon objects – can Ivy and Seb put a stop to the sinister Dirge’s plans? This is a thrilling fantasy read with the sort of twisty-turny plot that might well make your head spin, but will have you completely and utterly hooked just as the first book did. 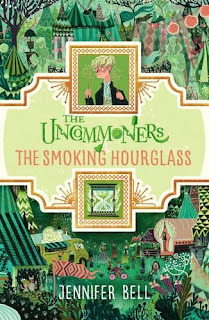 "The Uncommoners - The Smoking Hourglass (The Uncommoners Book 2)" by Jennifer Bell is out now, published by Corgi Children's Books. Phew, more you say? Oh go on then, just because we like you! 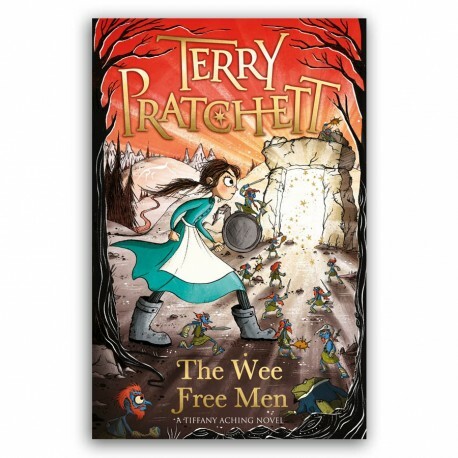 One of our favourite comic and illustrator superstars has brought her considerable skills to bear on a new cover for Terry Pratchett's fantastic younger reader, "The Wee Free Men". I've looked for an introduction to the Discworld for Charlotte for some time, something that just sublimely captures the chaos, comedy and complete insanity of Pratchett's amazing creation - and this is about as good a jumping-in point as you can get. The first book to feature haphazard but serious would-be witch Tiffany Aching pits our hero against ominous foes, but also teams her up with unexpected allies. As Tiffany confronts the Queen of Fairies and battles an ancient, bodiless evil, she is aided (and most ably abetted) by the six-inch-high, fightin', stealin', drinkin' Wee Free Men! As you'd expect from the late Terry Pratchett (a sadly missed colossal talent indeed), there's tons of laugh-out-loud humor and breathtaking action combined. The first in a series, this is the book that launched the unforgettable adventures of a determined young witch and her tiny but fierce blue friends. "The Wee Free Men" by Terry Pratchett (with cover art from Laura Ellen Anderson) is out now, published by Corgi Children's Books. Wow, that's quite a collection for July. Come on back in August when our book bag will be once again brimming with gorgeous books to cram in before you have to go back to school in September (boo hiss! ).